Emory, Georgia (USA) -- While scientists are searching for a cure-all pill for mental disorders, new research shows that the cure may not be in a bottle, but could rather be found in Tibetan meditation. The Dalai Lama joined scientists and philosophers for a discussion on depression and meditation. Hundreds gathered in the Woodruff Physical Education Center to hear discussions on this pioneering research on meditation and mental disorders. This research was presented in an dialogue in the 15th Mind and Life conference: Mindfulness, Compassion, and the Treatment of Depression. 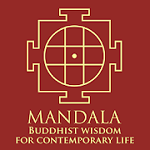 Mind and Life was organized by a scientist and an entrepreneur in 1987 to establish a dialogue between Buddhist philosophers and scientists. It has proven to be extremely successful, encouraged countless studies on the benefits of meditation. The organization has inspired an initiative to teach Buddhist monks science, and it encourages a common goal between researchers and Buddhists to improve minds, lives, societies and the world. 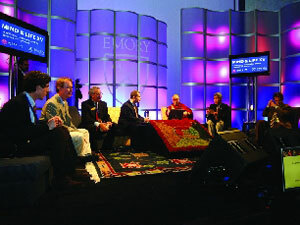 Emory, one of the leading institutions for meditation research in the country, hosted the conference for the first time on Saturday, prior to the installation the Dalai Lama as a presidential distinguished professor on Monday. His Holiness the Dalai Lama entered the room and immediately showered the crowed with affection. He lowered into a bow and clasped his hands together, blessing the audience. The Dalai Lama was an extremely active participant throughout the conference, asking several scientifically in-depth questions and suggesting new directions for future research projects. Co-founder of Mind and Life Adam Engel reflected as he opened this conference. Twenty years ago, when the conference series began, the Dalai Lama had a request of the scientists. This has been the goal of the researchers for the past 20 years. Researchers Richard Davidson, Helen Mayberg, Charles Nemeroff, Charles Raison and Zindel Segal presented findings from multiple successful neuroscience projects geared towards improving the mind and mental balance. Buddhist scholars at the conference, including the Dalai Lama, John Dunne and Geshe Lobsang Tenzin Negi, connected these studies to Buddhist philosophy. This was not necessarily an easy task for the Buddhist scholars. 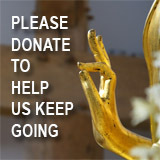 “Speaking to the Dalai Lama on Buddhism is like speaking to Jesus on Christianity,” Dunne said. Throughout the conference, both Buddhist scholars and scientists agreed that depression could be characterized by the sufferer’s inward focus. Buddhism strives to accomplish the opposite — to turn one’s perspective outwards through compassion and mindfulness meditations. Both of these forms of meditation were investigated by scientists in their experiments. Psychological and physical evidence showed that individuals suffering from depression were able to overcome the symptoms through compassion meditation. Davidson used samatha, a Tibetan Buddhist form of mindful meditation, in his studies and found that it improves concentration. The functional MRI brain scans taken during this practice showed more activation in the frontal-parietal areas, regions of the brain designated to higher cognition. Raison foresees using meditation to prevent more than just depression. He also thinks it can help prevent diseases associated with stress, such as depression, anxiety, heart failure, high cholesterol, cancer and diabetes. “Our interest is in looking at meditation as a potential strategy to protect against the emotional and medical diseases that arise from stress,” he said. Dean Robert Paul and University President James W. Wagner also spoke at the event. Paul said he sees Emory’s research moving towards developing meditation as a prescription within preventative psychiatry, the medical practice of preventing mental disorders. Mind and Life is also working to facilitate inter-religious dialogue. Currently centering prayer, a contemplative Catholic tradition is also being investigated by other Mind and Life researchers and the conference strives to integrate various other contemplative traditions into the studies as well. Dunne believes that the research benefits not only neuroscience but an enormous array of disciplines. “'Mind and Life' research also helps build a greater research network on contemplative based interventions,” Dunne said.